The role of the Chief Customer Officer is not an age-old role. It’s a unique new role that’s set up differently at every organization. 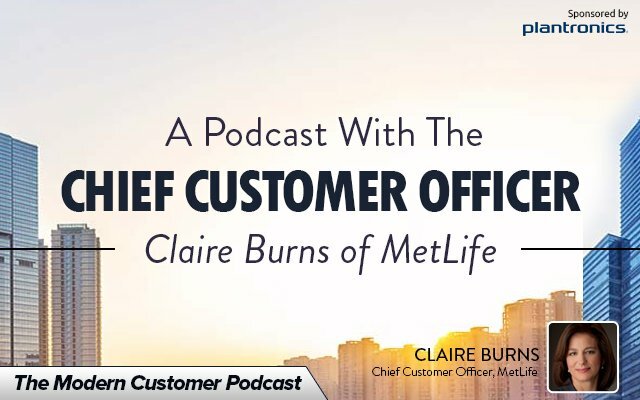 One example comes from MetLife who has seasoned industry executive Claire Burns running customer strategy. Burns serves as the Chief Customer Officer for MetLife which covers 110 million customers and 65K employees. The global company has an extensive and diverse product and distribution channels. Burns leads transformational change — tasked with shifting from a product centric corporate strategy to a customer centric corporate strategy. Burns, reporting to the CMO, has a “matrixed” managed team of 50 change agents around the world who are responsible for implementing these customer-centric programs. Burns’ task is aligning the entire company around the customer. She helps the company decide what kinds of products they need to create. Burns also evaluated what services are going well and what ones aren’t. She ensures the company is treating its customers as an asset — helping the broader organization gain clarity with their priorities and ensure they align.